Sat., Oct. 25 8 p.m. 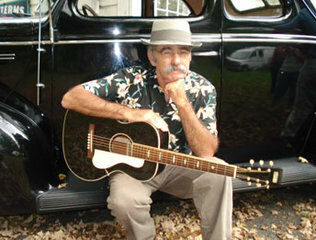 Noted finger picking bluesman Roy Book Binder will appear this Saturday at the Erie Art Museum's Special Events room. The concert is at 8 p.m. Suggested donation $15. Singer, songwriter Book Binder traveled and studied for some years with blues legend Rev. Gary Davis, learning his driving, finger picking Piedmont style, before setting out on his own with tours of Europe and the U.S. Book Binder has released twelve albums, appeared regularly on Ralph Emory's Nashville Now TV show, and has become a major presence on the international blues scene.